A collection of frequently asked questions by our customers and partners. What is Nova's legal structure? Nova accesses credit data from international markets based on the express, written consent of the consumer. Through our integrations with international credit bureaus across the globe, we are able to act as a technology service provider or agent of consumers to obtain and deliver the information at their request. 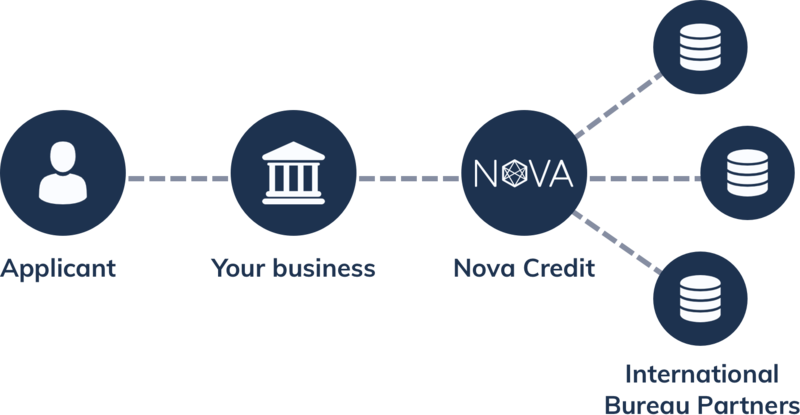 In the U.S., Nova is considered a reseller consumer reporting agency under the Fair Credit Reporting Act (FCRA), subject to various federal and state laws, including the FCRA and state data protection laws. How does Nova Credit handle consumer disputes? The Fair Credit Reporting Act (FCRA) and international privacy laws provide consumers with an opportunity to dispute information in their credit histories that may be inaccurate, incomplete or otherwise incorrect. We care about resolving these issues as efficiently as possible. For more information about our dispute resolution process, please see our Disputes Page. How does Nova address the security of consumer information? Data privacy, information security, and compliance are at the heart of everything we do at Nova Credit. Nova employs organizational, technical and physical measures to protect security, confidentiality and integrity of customer information. These safeguards include company-wide training, regular monitoring and testing for security vulnerabilities and additional technical protections including AWS-managed disk-level encryption of our report database using AES-256 algorithms and TLS 1.2 standard encryption for data in transit.